1.Select Edit> Custom fields... .
3.Select the Type (+Allowed values for selection type) and Default value. 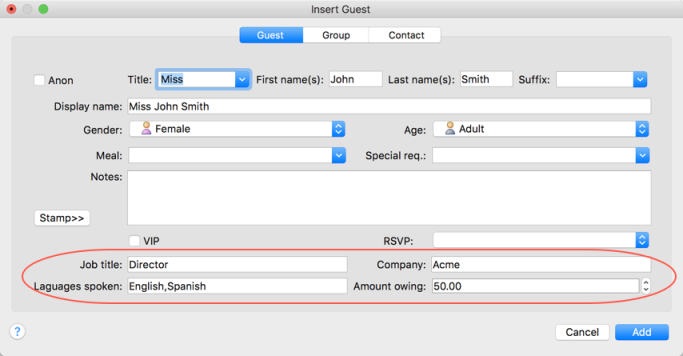 You can also create custom fields during import by selecting <custom field> from the drop-down menu at the top of an import column. Custom fields are fully integrated into PerfectTablePlan. For more information see Custom fields.